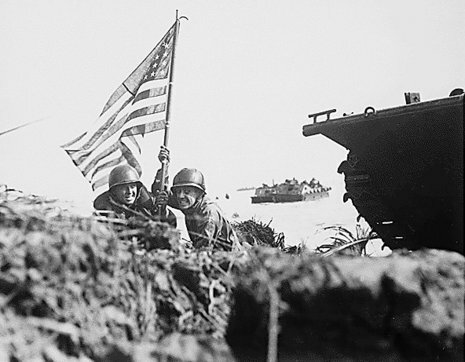 The Second Battle of Guam (July 21 — August 8, 1944) was the American capture of the Japanese held island of Guam (in the Mariana Islands) during the Pacific campaign of World War II. 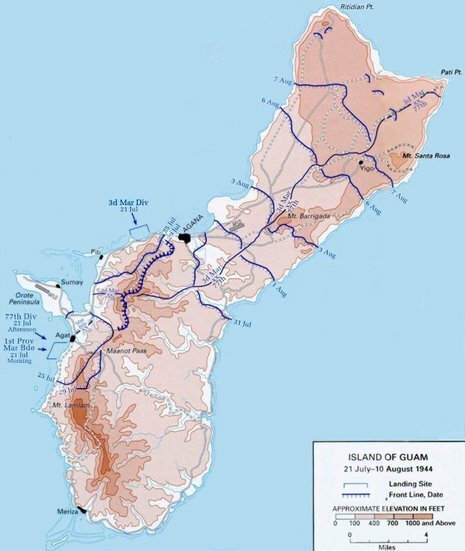 Guam is the largest of the Marianas, 30 miles (48 km) long and 9 miles (14 km) wide. It had been a United States possession since its capture from Spain in 1898 until it was captured by the Japanese on December 11, 1941, following the Attack on Pearl Harbor. It was not as heavily fortified as the other Mariana Islands such as Saipan that had been Japanese possessions since the end of World War I, but by 1944 it had a large garrison. 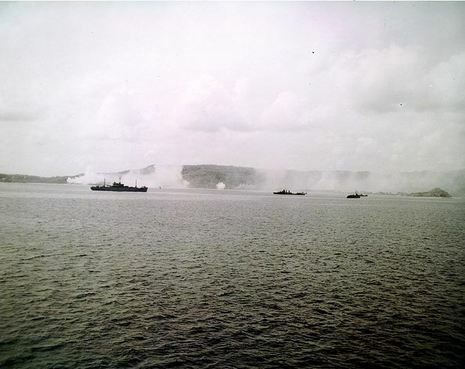 The invasion of Saipan was scheduled for June 15, 1944, with landings on Guam tentatively set for June 18. The original timetable was optimistic. 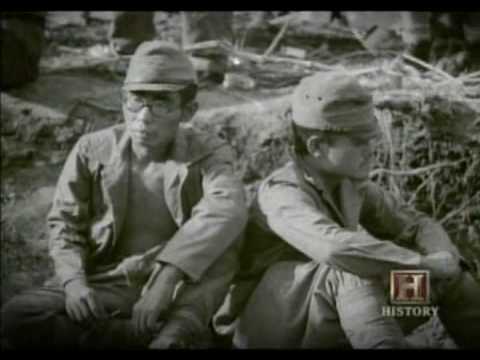 Stubborn resistance by the unexpectedly large garrison on Saipan, and a large Japanese carrier attack led to the invasion of Guam being postponed for a month. 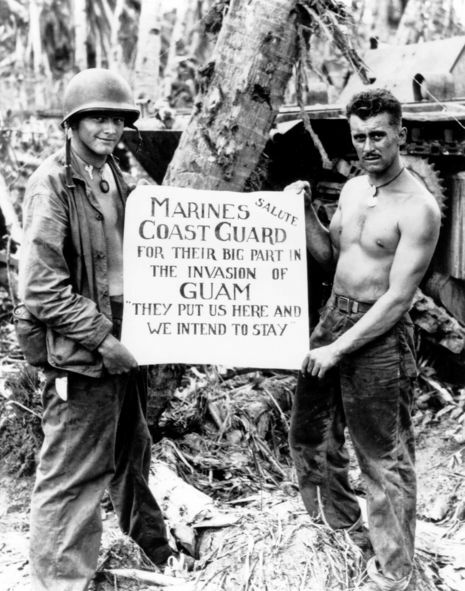 The Battle of Guam was a US operation to recapture the island of Guam from the Japanese in 1943, during WW II. Guam is at the southern end of the Marianas group, about 1.600 km north of New Guinea. It was occupied by the Japanese on 10 December 1941 and used as a naval and air base. 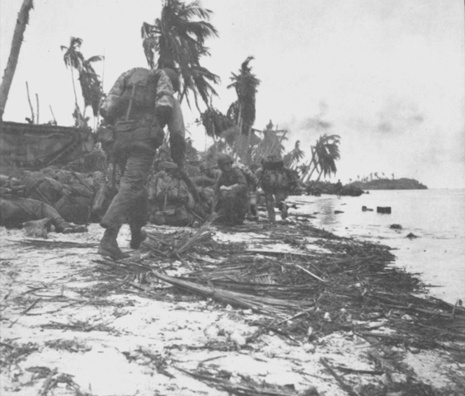 US forces invaded on 21 July 1943 and by 10 August the entire island was in their hands. US losses amounted to 1.744 killed and 5.970 wounded; the Japanese lost 18.250 killed and 1.250 captured. Some of the Japanese garrison fled to the interior of the island, the last of them did not surrender until 1960.